Born in Genova, Enrico lived in Acqui Terme in Piedmont during his teenage years, where his passion for the bike started. With his first road bike, a fantastic Coppi that he wanted for a long time, was given to him by his parents as a reward for doing well in school. He began cycling on the beautiful roads on the hills among the vineyards surrounding Acqui, with his inseparable friend Corrado. At the age of 13, Enrico took the first long ride from Genova: it was a real adventure for him at the time! His passion for all the outdoor activities was fostered by his father’s addiction to all mountain sports. This addiction was genetic and led to a great career within the Italian Alpine Club (CAI), where he held the title of National Instructor of mountaineering ski and the direction of the mountaineering ski school of Genova, where he lives now. 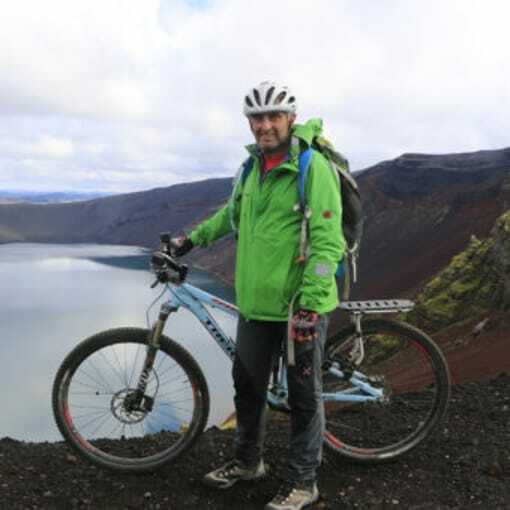 For many years, Enrico has rekindled his passion for cycling, starting first with mountain biking, and then with his first love, the road bike. His interest in bike touring led him to the Danube trail from Passau to Budapest, through the Alps and the Apennines and recently, Sicily and Sardinia. Between 2016 and 2017 he solo travelled for 2800km in Patagonia, from Puerto Montt to Ushuaia.